Sports betting – at least a very minimalistic version of it – has been allowed in Montana for many years. However, when it comes to proper, single-game legal Montana sports betting, that’s actually not yet available in the state. Montana was one of the exempted states under the recently-overturned Professional and Amateur Sports Protection Act (PASPA, 1992), though unlike Nevada, Montana was only able to offer non-house-banked “sports pool” on NFL games. This, effectively, was glorified, sports-themed pull-tab/bingo entertainment, and it wasn’t profitable or popular enough to stick around for long. Without single-game (i.e. Vegas-style) betting, Montana residents weren’t compelled to settle for less. Fortunately, despite the continued lack of legal sports betting in the state, Montana residents haven’t had to. Instead of using land-based venues in other states to place their wagers, these MT bettors simply turned to the Internet, where legal Montana sports betting has been going strong for several decades. All of the industry’s top sites, including Bovada, SportsBetting, BetOnline, 5Dimes, and others, operate in Montana, and signing up is fast and free. Best of all, there are no MT or US laws that criminalize individual bettors for using these sites, and over 100,000 people are estimated to use such services on a weekly basis. 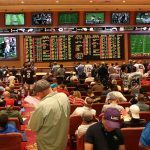 Is Land-Based Sports Betting Legal In Montana? No, land-based sports betting is not legal in Montana. Though the state has several Class III casinos that could technically offer the activity (a la New Mexico), this isn’t actually possible thanks to the preempting ban on single-game bookmaking in the Montana State Code. That said, there are efforts underway to legalize land-based sports betting in the Treasure State, which would certainly bring Montana in line with its epithet. Is It Illegal To Bet On Sports Online In Montana? No, it is not illegal to bet on sports online in Montana. It is, however, unlawful for any state-based bookmaking service to offer action, over the Internet or otherwise. Like most states that have specific anti-sports-betting laws, Montana specifically addresses only bookies, not individual bettors, in its prohibitions (though, as ever, this is subject to some interpretation). As such, you can only enjoy legal Montana sports betting over the Internet if you opt to use a legitimate offshore sportsbook like Bovada, SportsBetting, etc. Is There Anywhere In Montana That I Can I Bet On Sports? Yes and no. 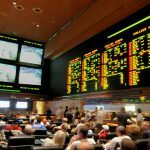 While there isn’t anywhere in Montana that you can bet on sports in a land-based, brick-and-mortar capacity, you can wager on sports at online, offshore bookies that accept MT customers. Thus, if you have a computer or mobile device and an Internet connection, you can participate in legal Montana sports betting from anywhere you are inside (and outside) the state. For now, the closest place to you to wager on sports in MT is probably wherever you are right this minute. If you’re reading this, you have a computer/mobile and an Internet connection, and that’s all you need to access legal offshore sportsbooks. However, if you’re after a land-based solution, you’ll have to wait until sports wagering is legalized and launched at the various tribal casinos. These are scattered across Montana, and it may be some time before any of them are allowed to offer you the single-game betting you crave. If you still insist on sports betting at a brick-and-mortar venue in the near-term future, you will have to make a trip out of it. The closest state to Montana that offers sports wagering at on-land venues is what it’s always been: Nevada. Geographically, the following are the nearest NV venues that MT residents can enjoy. Thankfully, the Montana sports betting and gambling laws are easy to understand. Article III, Section 9 of the Montana Constitution explicitly states that “all forms of gambling…are prohibited” unless allowed for by the legislature or public referendum. Excepted forms of gambling in MT include pari-mutuel horse racing betting, tribal casinos (Class III), charitable bingo and raffles, and the state lottery. Sports wagering is addressed in § 23-5-112(20)(c) of the Montana Code. “Internet gambling” is also barred, but this applies to casino-style card games. Current legislation concerning MT betting has been submitted for the 2019 congressional session. The bill, SB 25 (introduced by Republican Senator Mark Blasdel), includes several revisions to Montana’s gambling laws, though it doesn’t change the status of the state’s single-game betting ban. However, it hopefully sets the table for more legislators to address the issue more favorably going forward. Obviously, you can bet on whatever teams you wish, as all the top offshore books have action on just about all imaginable US and international sporting events, available 24/7. However, there is strong sports fandom in the state for local NCAA teams, and while there aren’t any major professional clubs in MT, there are strong fanbases for neighboring states’ teams. Horse racing betting in Montana is legal, as are off-track betting facilities and simulcast wagering. Unfortunately, however, the local horse racing industry is on its last legs in MT, with no permanent track venues. Currently, all races run in the state take place during various county fairs, including at the Great Falls Turf Club and Yellowstone Downs. As such, there are really just a few days of local racing available each year. The good news is that fans of the ponies can also legally use online racebooks at the same offshore sportsbook sites discussed above (BetOnline, etc.). Even better, these books have both American and international horse races on tap just about every day of the year. 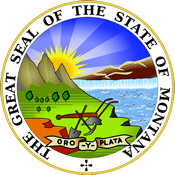 Daily fantasy sports in Montana (commonly called DFS) is currently legal in concept, but the Montana Code specifically outlaws Internet-based DFS services. Since all the major DFS operators are Internet-based entities, DraftKings and FanDuel (and other providers) do not currently operate in the state of Montana. This, along with the current sports betting laws, will likely change in the medium-term future, but until then, MT DFS players are out of luck. Can I Bet Real Money On Sports In Montana? Yes, you can bet real money on sports in Montana at any of the top offshore sportsbooks that serve the state. All of these sites – Bovada, BetOnline, SportsBetting, 5Dimes, BetDSI, and BookMaker – offer several ways to fund your accounts, and they each have secure services and guaranteed payouts. Real money in, real money out! Is Online Sports Betting Safe In Montana? Yes, online sports betting is safe in Montana. However, you still need to make sure you use a legal offshore sportsbook like those already listed. While these sites are tried and true and have withstood the test of time with flying colors, there are a lot of smaller, shady brands in the business. Nevertheless, if you go with a top offshore book, you will have a first-class experience all around, and none of them will ever sell your personal information or withhold your payouts. Will Sports Betting In Montana Ever Be Legal? As far as land-based wagering facilities, it seems likely that sports betting in Montana will be legal sometime in the next few years. Given the lay of the land and the tribal interests in MT gambling, it could be one of the last states to legalize the activity in a formal capacity, but it will get there. Legal Montana sports betting at brick-and-mortar venues should eventually be a reality. Until then, of course, you are free to use overseas books over the Internet. Will I Get Arrested For Sports Betting In Montana? No, you will not get arrested for sports betting in Montana, as long as you stick to the offshore betting options outlined on this page. These sites are legal, regulated entities that operate in good faith, and nobody has ever had any legal problems with Montana authorities just for placing bets on sports over the Internet. As long as you’re not running a bookmaking scheme, you are good to go! What Is the Sports Betting Age In Montana? There is not an official minimum sports betting age in Montana, as there are no concrete provisions for the activity in the law books. However, you only need to be 18 in order to gamble in any of the state’s casinos (or play the lottery, bingo, etc. ), so it stands to reason that this is the minimum age. Luckily, that is also the minimum age at which you can sign up at all the top sportsbooks, though be warned: Betting underage at any of these services will result in account termination and funds confiscation, as these sites all take their terms of service very seriously. Are There Mobile Sports Betting Apps Available In Montana? There are no official mobile sports betting apps available in Montana, but that’s only because Apple and Google corporate policies prevent offshore sportsbooks from putting native apps on the App Store or Google Play marketplaces. Nevertheless, you can easily enjoy mobile sports betting by simply using your iPhone or Android to visit any of the wagering sites listed here. Each of them has gone the extra mile to craft customized mobile betting portals that allow you to wager conveniently and quickly, no matter where in Montana (or the US) you happen to be. Where Is The Best Place To Bet On Sports In Montana? 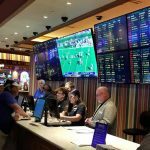 The best place to bet on sports in Montana – and frankly, the only place to bet on sports in Montana – is right on your smartphone, tablet, or home computer. In that regard, anywhere you are where there’s an active Internet connection constitutes a fine betting parlor. Remember, if you insist on a land-based betting experience, your only option other than online is to hop a plane to Vegas. Should I Use A Local Bookie In Montana? Under no circumstances should you use a local bookie in Montana. These bookies are operating illegal businesses and often have ties to organized crime, putting them under the microscope of local law enforcement. You don’t want to get caught up in any police activity, nor do you want to run the risk of your bookie splitting town or simply refusing to pay up. 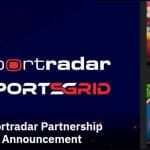 Online sports betting is safer, faster, easier, and far more reliable in every way. Do Any Casinos In Montana Have Sports Betting? None of the casinos in Montana have sports betting. 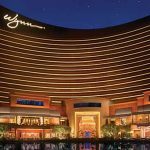 While a number of these are Class III venues that offer all the Vegas-style gaming you expect from a full-blown casino experience, they do not have sports betting and will not be able to offer it until new legislation is passed decriminalizing bookmaking. Is It Legal To Bet On Sports With My Friends In Montana? It is legal to bet on sports with your friends in Montana, provided you do so for “prizes of minimal value” and that the gaming takes place in a private residence. This explicitly applies to card games, but the text can logically be extended to most all forms of gaming. Nobody has ever gotten in trouble with the law for social, private wagering, and it is safe to view this activity as a form of legal Montana sports betting.